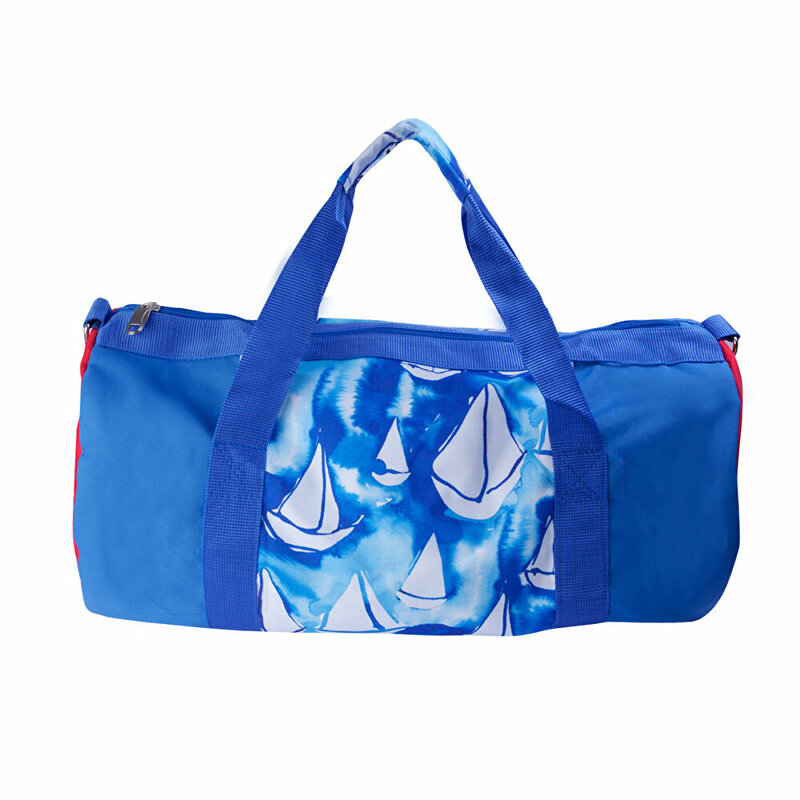 The size of the bag is medium, that's why it can be easily used on small trips and everyday life. The product is unisex. 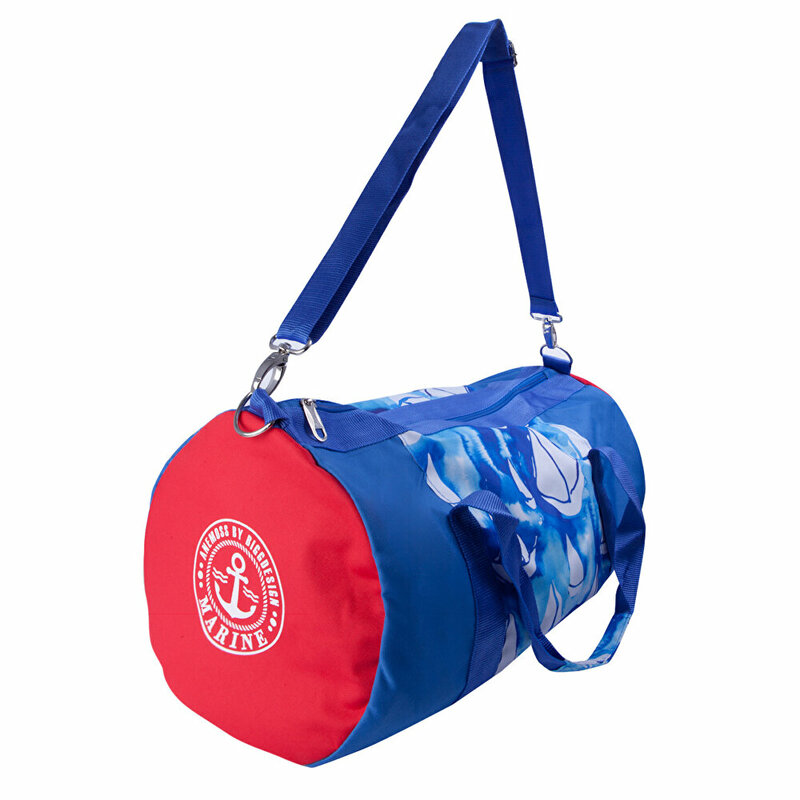 The sport bag has a shoulder strap. 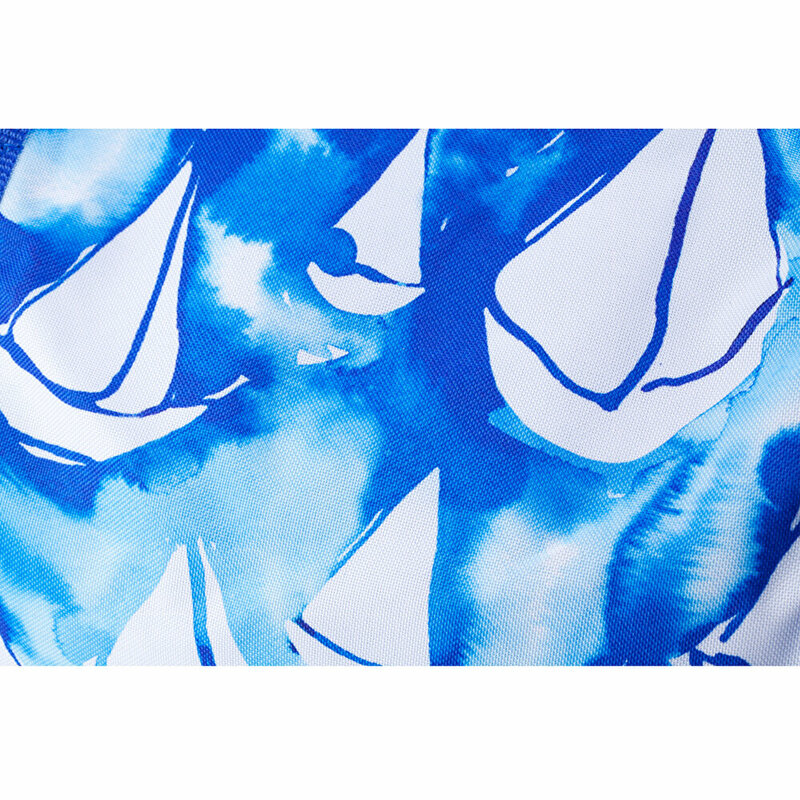 It has a sailing pattern, the main color is dark blue. Bag in a cylindrical shape. There is one main zip section.